Security updates have been issued by Debian (firefox-esr, irssi, and librelp), Gentoo (busybox and plib), Mageia (exempi and jupyter-notebook), openSUSE (clamav, dhcp, nginx, python-Django, python3-Django, and thunderbird), Oracle (slf4j), Red Hat (slf4j), Scientific Linux (slf4j), Slackware (firefox), SUSE (librelp), and Ubuntu (screen-resolution-extra). Security updates have been issued by Arch Linux (bchunk, thunderbird, and xerces-c), Debian (freeplane, icu, libvirt, and net-snmp), Fedora (monitorix, php-simplesamlphp-saml2, php-simplesamlphp-saml2_1, php-simplesamlphp-saml2_3, puppet, and qt5-qtwebengine), openSUSE (curl, libmodplug, libvorbis, mailman, nginx, opera, python-paramiko, and samba, talloc, tevent), Red Hat (python-paramiko, rh-maven35-slf4j, rh-mysql56-mysql, rh-mysql57-mysql, rh-ruby22-ruby, rh-ruby23-ruby, and rh-ruby24-ruby), Slackware (thunderbird), SUSE (clamav, kernel, memcached, and php53), and Ubuntu (samba and tiff). AWS Fargate is a new technology that works with Amazon Elastic Container Service (ECS) to run containers without having to manage servers or clusters. What does this mean? With Fargate, you no longer need to provision or manage a single virtual machine; you can just create tasks and run them directly! Fargate uses the same API actions as ECS, so you can use the ECS console, the AWS CLI, or the ECS CLI. I recommend running through the first-run experience for Fargate even if you’re familiar with ECS. It creates all of the one-time setup requirements, such as the necessary IAM roles. If you’re using a CLI, make sure to upgrade to the latest version. In this blog, you will see how to migrate ECS containers from running on Amazon EC2 to Fargate. Note: Anything with code blocks is a change in the task definition file. Screen captures are from the console. Additionally, Fargate is currently available in the us-east-1 (N. Virginia) region. When you create tasks (grouping of containers) and clusters (grouping of tasks), you now have two launch type options: EC2 and Fargate. The default launch type, EC2, is ECS as you knew it before the announcement of Fargate. You need to specify Fargate as the launch type when running a Fargate task. Even though Fargate abstracts away virtual machines, tasks still must be launched into a cluster. With Fargate, clusters are a logical infrastructure and permissions boundary that allow you to isolate and manage groups of tasks. ECS also supports heterogeneous clusters that are made up of tasks running on both EC2 and Fargate launch types. The optional, new requiresCompatibilities parameter with FARGATE in the field ensures that your task definition only passes validation if you include Fargate-compatible parameters. Tasks can be flagged as compatible with EC2, Fargate, or both. In November, we announced the addition of task networking with the network mode awsvpc. 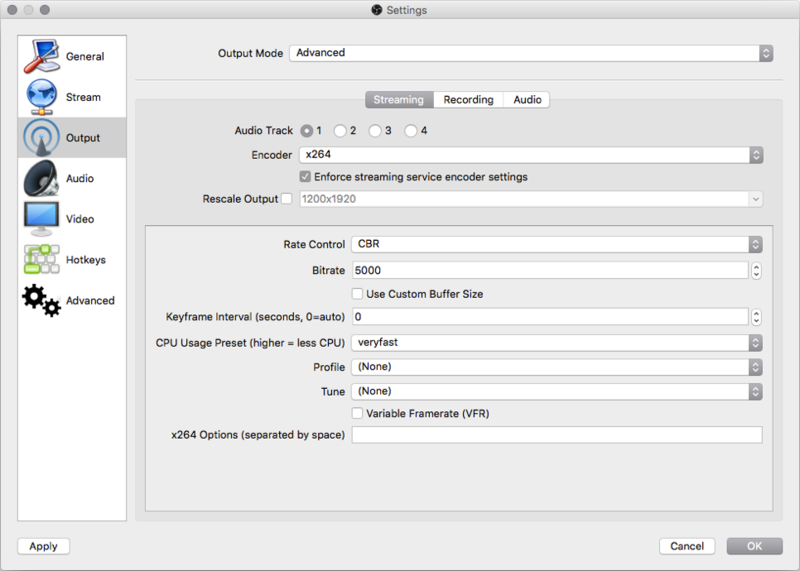 By default, ECS uses the bridge network mode. Fargate requires using the awsvpc network mode. In bridge mode, all of your tasks running on the same instance share the instance’s elastic network interface, which is a virtual network interface, IP address, and security groups. The awsvpc mode provides this networking support to your tasks natively. You now get the same VPC networking and security controls at the task level that were previously only available with EC2 instances. Each task gets its own elastic networking interface and IP address so that multiple applications or copies of a single application can run on the same port number without any conflicts. The awsvpc mode also provides a separation of responsibility for tasks. 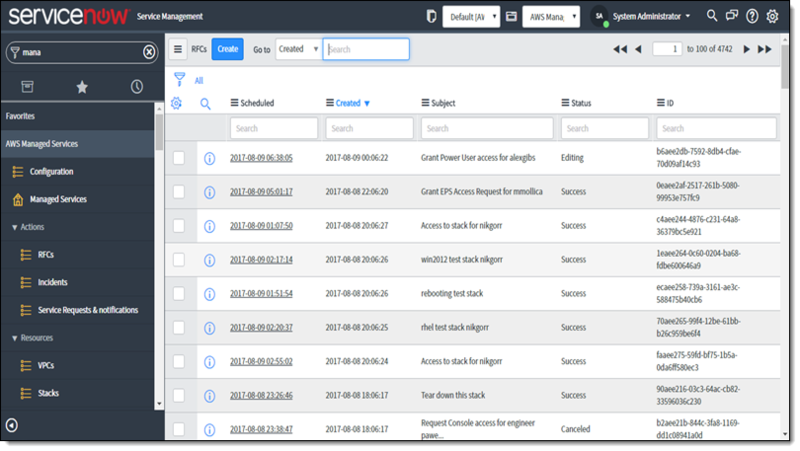 You can get complete control of task placement within your own VPCs, subnets, and the security policies associated with them, even though the underlying infrastructure is managed by Fargate. Also, you can assign different security groups to each task, which gives you more fine-grained security. You can give an application only the permissions it needs. What else has to change? First, you only specify a containerPort value, not a hostPort value, as there is no host to manage. Your container port is the port that you access on your elastic network interface IP address. Therefore, your container ports in a single task definition file need to be unique. When launching a task with the EC2 launch type, task performance is influenced by the instance types that you select for your cluster combined with your task definition. If you pick larger instances, your applications make use of the extra resources if there is no contention. In Fargate, you needed a way to get additional resource information so we created task-level resources. Task-level resources define the maximum amount of memory and cpu that your task can consume. memory can be defined in MB with just the number, or in GB, for example, “1024” or “1gb”. cpu can be defined as the number or in vCPUs, for example, “256” or “.25vcpu”. vCPUs are virtual CPUs. You can look at the memory and vCPUs for instance types to get an idea of what you may have used before. 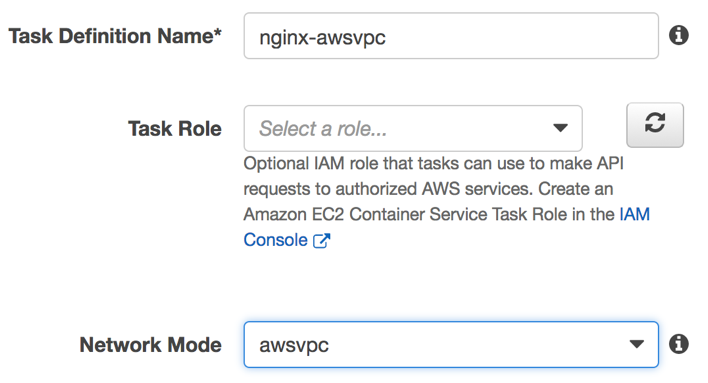 Because Fargate uses awsvpc mode, you need an Amazon ECS service-linked IAM role named AWSServiceRoleForECS. It provides Fargate with the needed permissions, such as the permission to attach an elastic network interface to your task. After you create your service-linked IAM role, you can delete the remaining roles in your services. With the EC2 launch type, an instance role gives the agent the ability to pull, publish, talk to ECS, and so on. With Fargate, the task execution IAM role is only needed if you’re pulling from Amazon ECR or publishing data to Amazon CloudWatch Logs. The Fargate first-run experience tutorial in the console automatically creates these roles for you. Fargate currently supports non-persistent, empty data volumes for containers. When you define your container, you no longer use the host field and only specify a name. For awsvpc mode, and therefore for Fargate, use the IP target type instead of the instance target type. You define this in the Amazon EC2 service when creating a load balancer. If you’re using a Classic Load Balancer, change it to an Application Load Balancer or a Network Load Balancer. Tip: If you are using an Application Load Balancer, make sure that your tasks are launched in the same VPC and Availability Zones as your load balancer. Let’s migrate a task definition! Here is an example NGINX task definition. This type of task definition is what you’re used to if you created one before Fargate was announced. 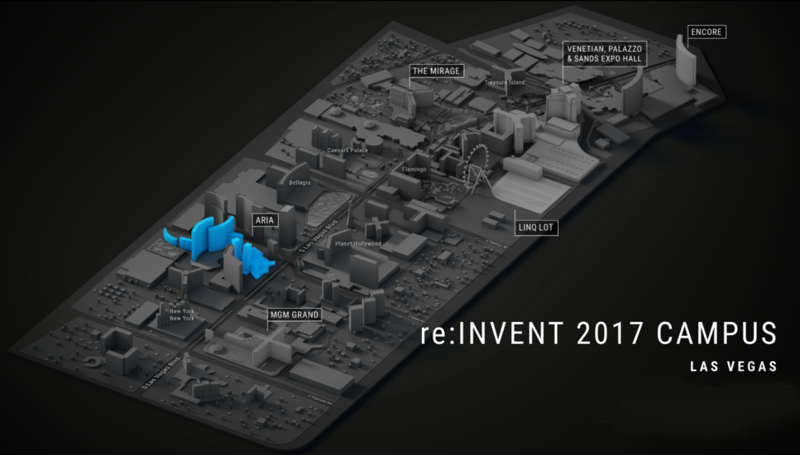 It’s what you would run now with the EC2 launch type. OK, so now what do you need to do to change it to run with the Fargate launch type? Add FARGATE for requiredCompatibilities (not required, but a good safety check for your task definition). Use awsvpc as the network mode. Just specify the containerPort (the hostPortvalue is the same). Add a task executionRoleARN value to allow logging to CloudWatch. Provide cpu and memory limits for the task. Yep! Head to the AWS Samples GitHub repo. We have several sample task definitions you can try for both the EC2 and Fargate launch types. Contributions are very welcome too :). It was just about three years ago that AWS announced Amazon Elastic Container Service (Amazon ECS), to run and manage containers at scale on AWS. With Amazon ECS, you’ve been able to run your workloads at high scale and availability without having to worry about running your own cluster management and container orchestration software. Today, AWS announced the availability of AWS Fargate – a technology that enables you to use containers as a fundamental compute primitive without having to manage the underlying instances. With Fargate, you don’t need to provision, configure, or scale virtual machines in your clusters to run containers. Fargate can be used with Amazon ECS today, with plans to support Amazon Elastic Container Service for Kubernetes (Amazon EKS) in the future. Fargate has flexible configuration options so you can closely match your application needs and granular, per-second billing. Amazon ECS enables you to run containers at scale. This service also provides native integration into the AWS platform with VPC networking, load balancing, IAM, Amazon CloudWatch Logs, and CloudWatch metrics. These deep integrations make the Amazon ECS task a first-class object within the AWS platform. To run tasks, you first need to stand up a cluster of instances, which involves picking the right types of instances and sizes, setting up Auto Scaling, and right-sizing the cluster for performance. With Fargate, you can leave all that behind and focus on defining your application and policies around permissions and scaling. The same container management capabilities remain available so you can continue to scale your container deployments. With Fargate, the only entity to manage is the task. You don’t need to manage the instances or supporting software like Docker daemon or the Amazon ECS agent. Fargate capabilities are available natively within Amazon ECS. This means that you don’t need to learn new API actions or primitives to run containers on Fargate. Using Amazon ECS, Fargate is a launch type option. You continue to define the applications the same way by using task definitions. In contrast, the EC2 launch type gives you more control of your server clusters and provides a broader range of customization options. You pay by the task size and only for the time for which resources are consumed by the task. The price for CPU and memory is charged on a per-second basis. There is a one-minute minimum charge. Fargate is available with 50 different combinations of CPU and memory to closely match your application needs. You can use 2 GB per vCPU anywhere up to 8 GB per vCPU for various configurations. Match your workload requirements closely, whether they are general purpose, compute, or memory optimized. All Fargate tasks run within your own VPC. 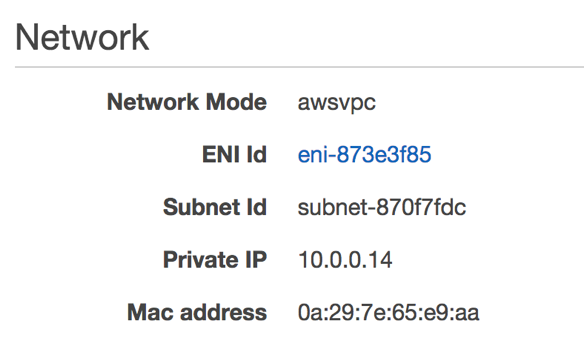 Fargate supports the recently launched awsvpc networking mode and the elastic network interface for a task is visible in the subnet where the task is running. This provides the separation of responsibility so you retain full control of networking policies for your applications via VPC features like security groups, routing rules, and NACLs. Fargate also supports public IP addresses. ECS Service Load Balancing for the Application Load Balancer and Network Load Balancer is supported. For the Fargate launch type, you specify the IP addresses of the Fargate tasks to register with the load balancers. Even though there are no instances to manage with Fargate, you continue to group tasks into logical clusters. This allows you to manage who can run or view services within the cluster. The task IAM role is still applicable. 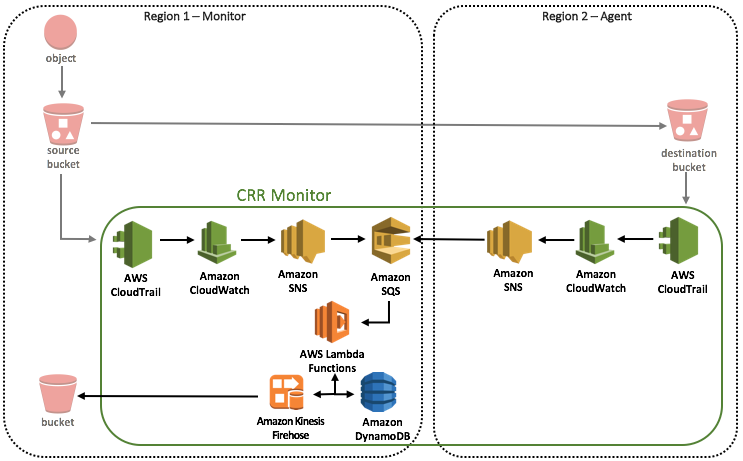 Additionally, there is a new Task Execution Role that grants Amazon ECS permissions to perform operations such as pushing logs to CloudWatch Logs or pulling image from Amazon Elastic Container Registry (Amazon ECR). Fargate provides seamless authentication to help pull images from Amazon ECR via the Task Execution Role. Similarly, if you are using a public repository like DockerHub, you can continue to do so. The Amazon ECS CLI provides high-level commands to help simplify to create and run Amazon ECS clusters, tasks, and services. The latest version of the CLI now supports running tasks and services with Fargate. All Amazon ECS clusters are heterogeneous – you can run both Fargate and Amazon ECS tasks in the same cluster. This enables teams working on different applications to choose their own cadence of moving to Fargate, or to select a launch type that meets their requirements without breaking the existing model. You can make an existing ECS task definition compatible with the Fargate launch type and run it as a Fargate service, and vice versa. Choosing a launch type is not a one-way door! With Fargate, you can send the application logs to CloudWatch logs. Service metrics (CPU and Memory utilization) are available as part of CloudWatch metrics. AWS partners for visibility, monitoring and application performance management including Datadog, Aquasec, Splunk, Twistlock, and New Relic also support Fargate tasks. Fargate enables you to run containers without having to manage the underlying infrastructure. Today, Fargate is availabe for Amazon ECS, and in 2018, Amazon EKS. Visit the Fargate product page to learn more, or get started in the AWS Console. This post courtesy of ECS Sr. Software Dev Engineer Anirudh Aithal. An elastic network interface is a virtual network interface that you can attach to an instance in a VPC. When you launch an EC2 virtual machine, an elastic network interface is automatically provisioned to provide networking capabilities for the instance. A task is a logical group of running containers. Previously, tasks running on Amazon ECS shared the elastic network interface of their EC2 host. Now, the new awsvpc networking mode lets you attach an elastic network interface directly to a task. This simplifies network configuration, allowing you to treat each container just like an EC2 instance with full networking features, segmentation, and security controls in the VPC. In this post, I cover how awsvpc mode works and show you how you can start using elastic network interfaces with your tasks running on ECS. When you launch EC2 instances within a VPC, you don’t have to configure an additional overlay network for those instances to communicate with each other. By default, routing tables in the VPC enable seamless communication between instances and other endpoints. This is made possible by virtual network interfaces in VPCs called elastic network interfaces. Every EC2 instance that launches is automatically assigned an elastic network interface (the primary network interface). All networking parameters—such as subnets, security groups, and so on—are handled as properties of this primary network interface. Furthermore, an IPv4 address is allocated to every elastic network interface by the VPC at creation (the primary IPv4 address). This primary address is unique and routable within the VPC. This effectively makes your VPC a flat network, resulting in a simple networking topology. Previously, ECS relied on the networking capability provided by Docker’s default networking behavior to set up the network stack for containers. With the default bridge network mode, containers on an instance are connected to each other using the docker0 bridge. Containers use this bridge to communicate with endpoints outside of the instance, using the primary elastic network interface of the instance on which they are running. Containers share and rely on the networking properties of the primary elastic network interface, including the firewall rules (security group subscription) and IP addressing. This means you cannot address these containers with the IP address allocated by Docker (it’s allocated from a pool of locally scoped addresses), nor can you enforce finely grained network ACLs and firewall rules. Instead, containers are addressable in your VPC by the combination of the IP address of the primary elastic network interface of the instance, and the host port to which they are mapped (either via static or dynamic port mapping). Also, because a single elastic network interface is shared by multiple containers, it can be difficult to create easily understandable network policies for each container. Run multiple copies of the container on the same instance using the same container port without needing to do any port mapping or translation, simplifying the application architecture. Extract higher network performance from your applications as they no longer contend for bandwidth on a shared bridge. 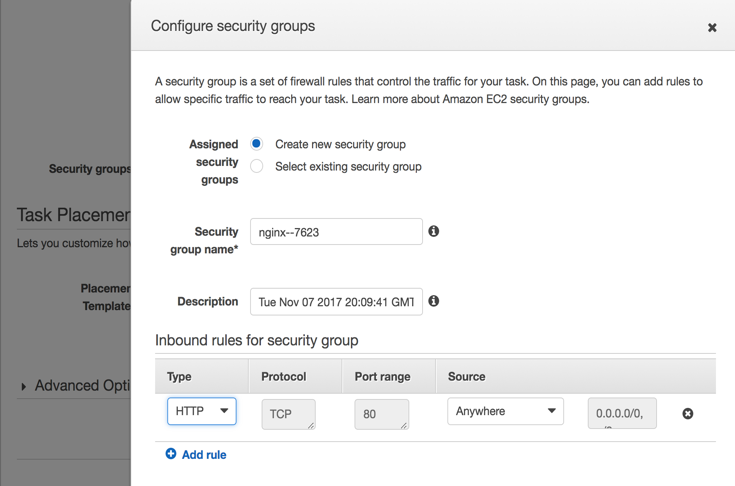 Enforce finer-grained access controls for your containerized applications by associating security group rules for each Amazon ECS task, thus improving the security for your applications. Associating security group rules with a container or containers in a task allows you to restrict the ports and IP addresses from which your application accepts network traffic. For example, you can enforce a policy allowing SSH access to your instance, but blocking the same for containers. Alternatively, you could also enforce a policy where you allow HTTP traffic on port 80 for your containers, but block the same for your instances. Enforcing such security group rules greatly reduces the surface area of attack for your instances and containers. ­This also enables you to run multiple copies of the same task definition on the same instance, without needing to worry about port conflicts. You benefit from higher performance because you don’t need to perform any port translations or contend for bandwidth on the shared docker0 bridge, as you do with the bridge networking mode. 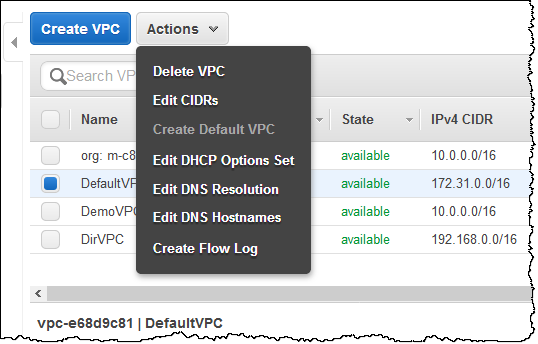 If you don’t already have an ECS cluster, you can create one using the create cluster wizard. In this post, I use “awsvpc-demo” as the cluster name. Also, if you are following along with the command line instructions, make sure that you have the latest version of the AWS CLI or SDK. The only change to make in your task definition for task networking is to set the networkMode parameter to awsvpc. In the ECS console, enter this value for Network Mode. 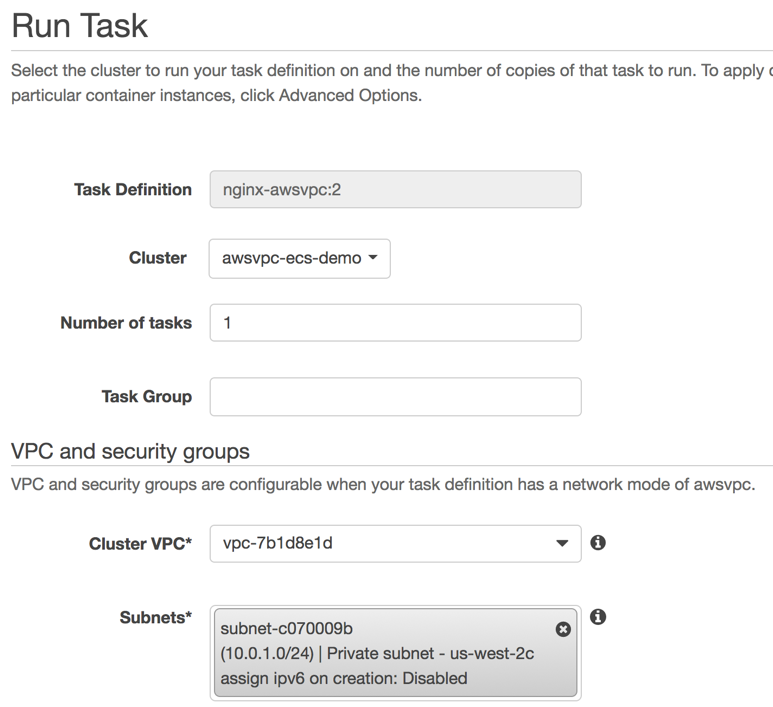 To run a task with this task definition, navigate to the cluster in the Amazon ECS console and choose Run new task. Specify the task definition as “nginx-awsvpc“. Next, specify the set of subnets in which to run this task. You must have instances registered with ECS in at least one of these subnets. Otherwise, ECS can’t find a candidate instance to attach the elastic network interface. Next, select a security group for the task. For the purposes of this example, create a new security group that allows ingress only on port 80. Alternatively, you can also select security groups that you’ve already created. Next, run the task by choosing Run Task. The nginx container is now addressable in your VPC via the 10.0.0.35 IPv4 address. You did not have to modify the security group on the instance to allow requests on port 80, thus improving instance security. Also, you ensured that all ports apart from port 80 were blocked for this application without modifying the application itself, which makes it easier to manage your task on the network. You did not have to interact with any of the elastic network interface API operations, as ECS handled all of that for you. You can read more about the task networking feature in the ECS documentation. For a detailed look at how this new networking mode is implemented on an instance, see Under the Hood: Task Networking for Amazon ECS. Please use the comments section below to send your feedback. 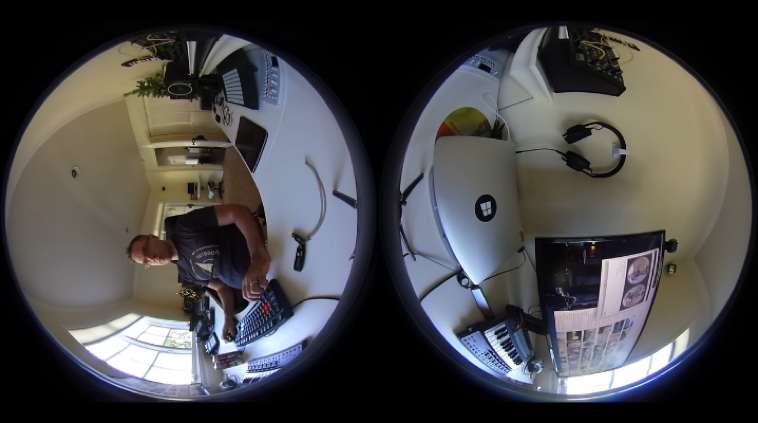 Welcome to another issue of timeShift. This week we released Grafana 4.6.0-beta2, which includes some fixes for alerts, annotations, the Cloudwatch data source, and a few panel updates. We’re also gearing up for Oredev, one of the biggest tech conferences in Scandinavia, November 7-10. In addition to sponsoring, our very own Carl Bergquist will be presenting “Monitoring for everyone.” Hope to see you there – swing by our booth and say hi! To see more details on what’s in the newest version, please see the release notes. Bit v. Byte Episode 3 – Metrics for the Win: Bit v. Byte is a new weekly Podcast about the web industry, tools and techniques upcoming and in use today. This episode dives into metrics, and discusses Grafana, Prometheus and NGINX Amplify. RuuviTag with C.H.I.P – BLE – Node-RED: Following the temperature-monitoring theme from the last article, Tobias writes about his journey of hooking up his new RuuviTag to Grafana to measure temperature, relative humidity, air pressure and more. Early bird discounts will be ending soon, but you still have a few days to lock in the lower price. We will be closing early bird on October 31, so don’t wait until the last minute to take advantage of the discounted tickets! Also, there’s still time to submit your talk. We’ll accept submissions through the end of October. We’re looking for technical and non-technical talks of all sizes. Submit a CFP now. Geoloop Panel – The Geoloop panel is a simple visualizer for joining GeoJSON to Time Series data, and animating the geo features in a loop. An example of using the panel would be showing the rate of rainfall during a 5-hour storm. Breadcrumb Panel – This plugin keeps track of dashboards you have visited within one session and displays them as a breadcrumb. The latest update fixes some issues with back navigation and url query params. Influx Admin Panel – The Influx Admin panel duplicates features from the now deprecated Web Admin Interface for InfluxDB and has lots of features like letting you see the currently running queries, which can also be easily killed. This is awesome – we can’t get enough of these public dashboards! I’m happy to announce that the latest version of the Amazon Linux AMI (2017.09) is now available in all AWS Regions for all current-generation EC2 instances. The AMI contains a supported and maintained Linux image that is designed to provide a stable, secure, high performance environment for applications running on EC2. Kernel 4.9.51 – Based on the 4.9 stable kernel series, this kernel includes the ENA 1.3.0 driver along with support for TCP Bottleneck Bandwidth and RTT (BBR). Read my post, Elastic Network Adapter – High-Performance Network Interface for Amazon EC2 to learn more about ENA. Read the Release Notes to learn how to enable BBR. Amazon SSM Agent – The Amazon SSM Agent is now installed by default. This means that you can now use EC2 Run Command to configure and run scripts on your instances with no further setup. To learn more, read Executing Commands Using Systems Manager Run Command or Manage Instances at Scale Without SSH Access Using EC2 Run Command. OpenSSL – The AMI now uses OpenSSL 1.0.2k. HTTP/2 – The HTTP/2 protocol is now supported by the AMI’s httpd24, nginx, and curl packages. 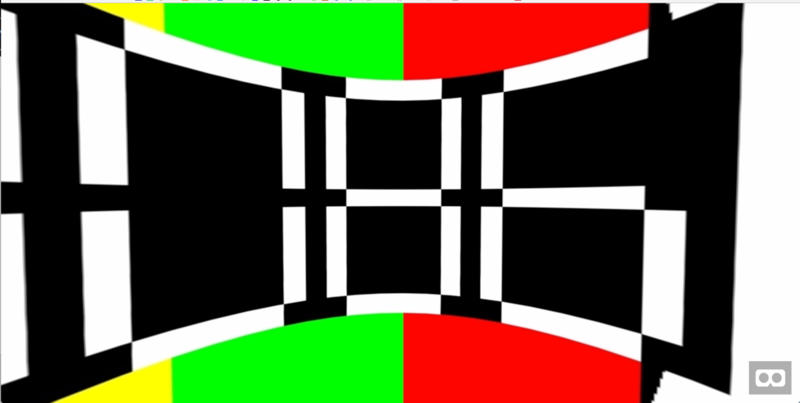 OpenMPI – The OpenMPI package has been upgraded from 1.6.4 to 2.1.1. OpenMPI compatibility packages are available and can be used to build and run older OpenMPI applications. And More – Other updated packages include Squid 3.5, Nginx 1.12, Tomcat 8.5, and GCC 6.4. You can use this AMI to launch EC2 instances in all AWS Regions today. It is available for EBS-backed and Instance Store-backed instances and supports HVM and PV modes. Security updates have been issued by Debian (ffmpeg, fontforge, and openjdk-7), Fedora (cvs, java-1.8.0-openjdk-aarch32, krb5, and mercurial), Mageia (chromium and libgxps), Red Hat (rh-nginx110-nginx), SUSE (java-1_7_1-ibm), and Ubuntu (ghostscript, kernel, linux, linux-aws, linux-gke, linux-raspi2, linux-snapdragon, linux, linux-raspi2, linux-hwe, linux-lts-xenial, and python-crypto). Security updates have been issued by Arch Linux (salt and thunderbird), Debian (aodh), Fedora (kernel and nginx), Mageia (apache, graphicsmagick, kernel-tmb, and openjpeg2), Red Hat (bind and thunderbird), Scientific Linux (thunderbird), and Ubuntu (python-pysaml2). Reverse proxies are a powerful software architecture primitive for fetching resources from a server on behalf of a client. They serve a number of purposes, from protecting servers from unwanted traffic to offloading some of the heavy lifting of HTTP traffic processing. This post explains the benefits of a reverse proxy, and explains how to use NGINX and Amazon EC2 Container Service (Amazon ECS) to easily implement and deploy a reverse proxy for your containerized application. NGINX is a high performance HTTP server that has achieved significant adoption because of its asynchronous event driven architecture. It can serve thousands of concurrent requests with a low memory footprint. This efficiency also makes it ideal as a reverse proxy. Amazon ECS is a highly scalable, high performance container management service that supports Docker containers. 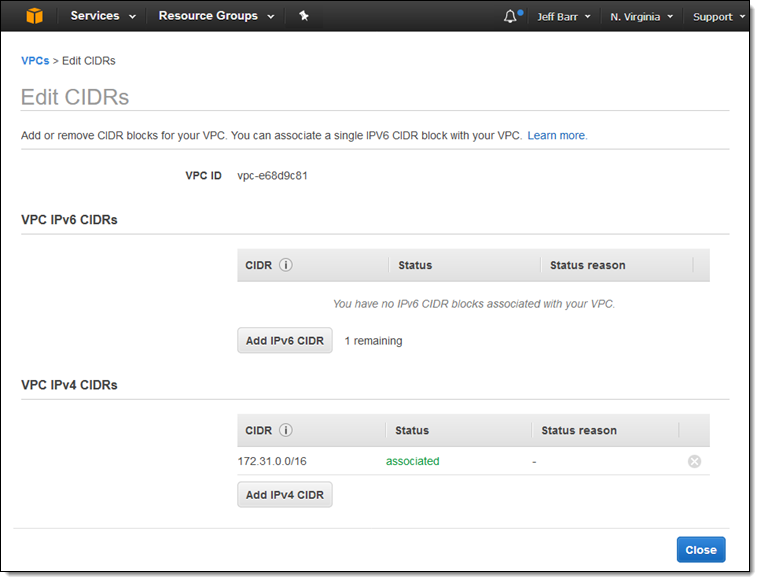 It allows you to run applications easily on a managed cluster of Amazon EC2 instances. Amazon ECS helps you get your application components running on instances according to a specified configuration. It also helps scale out these components across an entire fleet of instances. Sidecar containers are a common software pattern that has been embraced by engineering organizations. It’s a way to keep server side architecture easier to understand by building with smaller, modular containers that each serve a simple purpose. Just like an application can be powered by multiple microservices, each microservice can also be powered by multiple containers that work together. A sidecar container is simply a way to move part of the core responsibility of a service out into a containerized module that is deployed alongside a core application container. 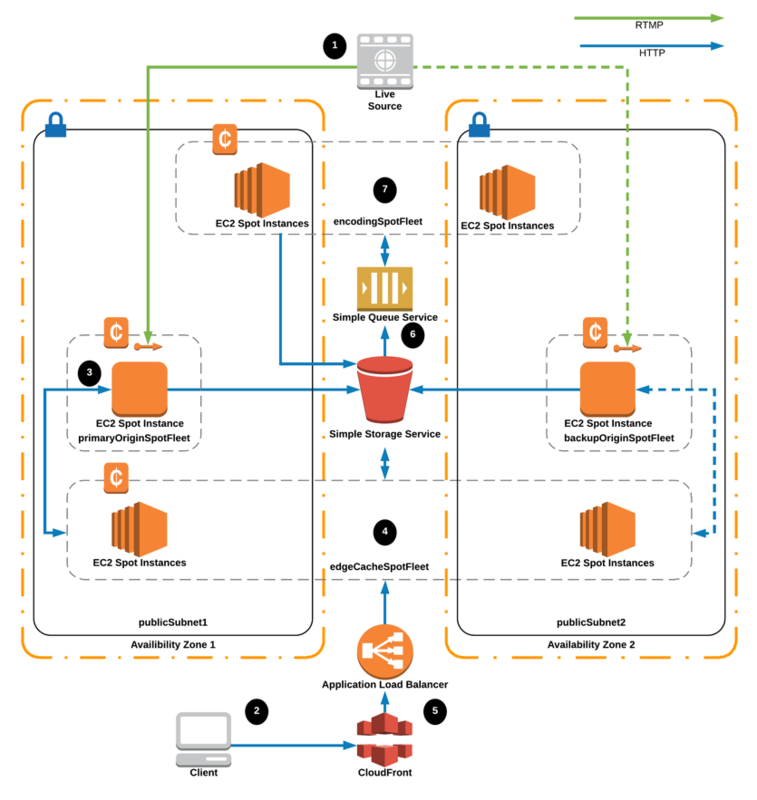 In this architecture, Amazon ECS has deployed two copies of an application stack that is made up of an NGINX reverse proxy side container and an application container. 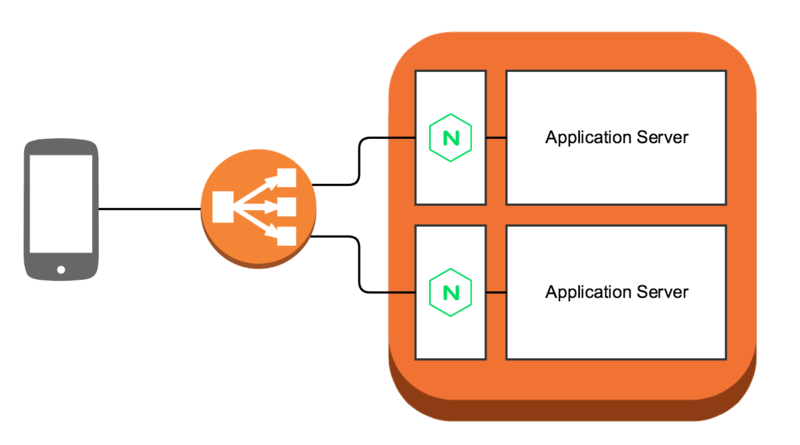 Web traffic from the public goes to an Application Load Balancer, which then distributes the traffic to one of the NGINX reverse proxy sidecars. The NGINX reverse proxy then forwards the request to the application server and returns its response to the client via the load balancer. In addition, servers can also end up receiving unwanted web traffic that is intended for another server. In a cloud environment, an application may end up reusing an IP address that was formerly connected to another service. It’s common for misconfigured or misbehaving DNS servers to send traffic intended for a different host to an IP address now connected to your server. It’s the responsibility of anyone running a web server to handle and reject potentially malicious traffic or unwanted traffic. Ideally, the web server can reject this traffic as early as possible, before it actually reaches the core application code. A reverse proxy is one way to provide this layer of protection for an application server. It can be configured to reject these requests before they reach the application server. Another advantage of using a reverse proxy such as NGINX is that it can be configured to offload some heavy lifting from your application container. For example, every HTTP server should support gzip. Whenever a client requests gzip encoding, the server compresses the response before sending it back to the client. 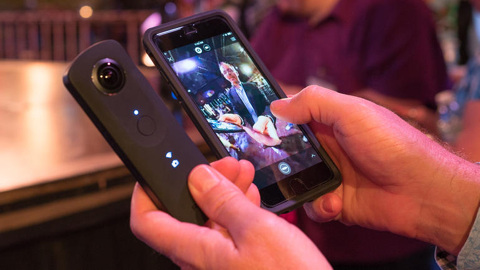 This compression saves network bandwidth, which also improves speed for clients who now don’t have to wait as long for a response to fully download. NGINX can be configured to accept a plaintext response from your application container and gzip encode it before sending it down to the client. This allows your application container to focus 100% of its CPU allotment on running business logic, while NGINX handles the encoding with its efficient gzip implementation. An application may have security concerns that require SSL termination at the instance level instead of at the load balancer. NGINX can also be configured to terminate SSL before proxying the request to a local application container. Again, this also removes some CPU load from the application container, allowing it to focus on running business logic. It also gives you a cleaner way to patch any SSL vulnerabilities or update SSL certificates by updating the NGINX container without needing to change the application container. The above configuration only accepts traffic that matches the expression /api and has a recognized HTTP method. If the traffic matches, it is forwarded to a local application container accessible at the local hostname app. If the client requested gzip encoding, the plaintext response from that application container is gzip-encoded. 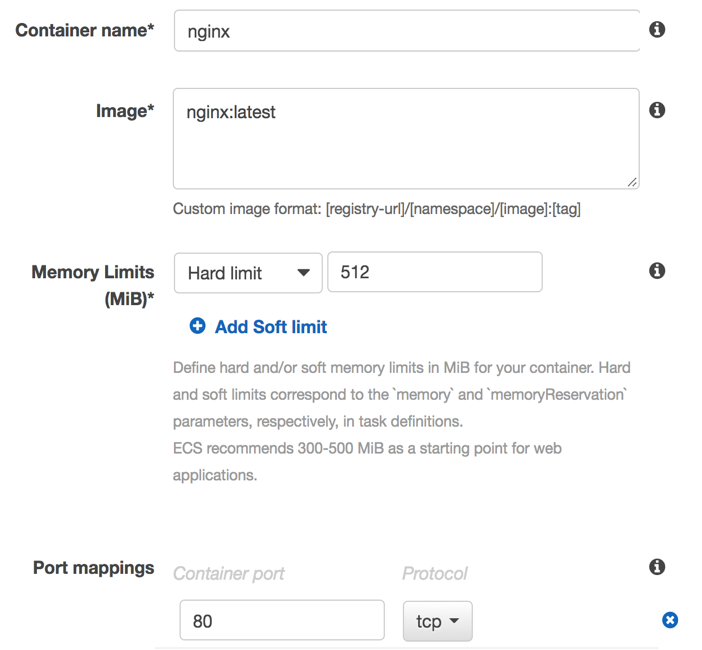 This task definition causes ECS to start both an NGINX container and an application container on the same instance. Then, the NGINX container is linked to the application container. This allows the NGINX container to send traffic to the application container using the hostname app. The NGINX container has a port mapping that exposes port 80 on a publically accessible port but the application container does not. This means that the application container is not directly addressable. The only way to send it traffic is to send traffic to the NGINX container, which filters that traffic down. It only forwards to the application container if the traffic passes the whitelisted rules. Running a sidecar container such as NGINX can bring significant benefits by making it easier to provide protection for application containers. Sidecar containers also improve performance by freeing your application container from various CPU intensive tasks. Amazon ECS makes it easy to run sidecar containers, and automate their deployment across your cluster. To see the full code for this NGINX sidecar reference, or to try it out yourself, you can check out the open source NGINX reverse proxy reference architecture on GitHub. Security updates have been issued by Debian (apache2, enigmail, graphicsmagick, ipsec-tools, libquicktime, lucene-solr, mysql-5.5, nasm, and supervisor), Fedora (mingw-librsvg2, php-PHPMailer, and webkitgtk4), Mageia (freeradius, gdk-pixbuf2.0, graphicsmagick, java-1.8.0-openjdk, kernel, libmtp, libgphoto, libraw, nginx, openvpn, postgresql9.4, valgrind, webkit2, and wireshark), openSUSE (apache2, chromium, libical, mysql-community-server, and nginx), Oracle (kernel), Red Hat (chromium-browser and eap7-jboss-ec2-eap), Slackware (squashfs), and Ubuntu (linux-hwe and nss). Security updates have been issued by Debian (bind9, heimdal, samba, and xorg-server), Fedora (cacti, evince, expat, globus-ftp-client, globus-gass-cache-program, globus-gass-copy, globus-gram-client, globus-gram-job-manager, globus-gram-job-manager-condor, globus-gridftp-server, globus-gssapi-gsi, globus-io, globus-net-manager, globus-xio, globus-xio-gsi-driver, globus-xio-pipe-driver, globus-xio-udt-driver, jabberd, myproxy, perl-DBD-MySQL, and php), openSUSE (libcares2), SUSE (xorg-x11-server), and Ubuntu (evince and nginx). Security updates have been issued by Arch Linux (irssi), CentOS (httpd and kernel), Debian (nginx), Fedora (perl-DBD-MySQL and qt5-qtwebengine), Mageia (apache-mod_fcgid, cairo, jbig2dec, nodejs, and sudo), openSUSE (libreoffice, spice, and systemd), Red Hat (python-django-horizon), and SUSE (kernel and xorg-x11-server). Security updates have been issued by Arch Linux (flashplugin, lib32-flashplugin, lib32-gnutls, libdwarf, nginx, nginx-mainline, and tor), Debian (spice and undertow), Fedora (bind, bind-dyndb-ldap, chromium-native_client, dnsperf, expat, flatpak, GraphicsMagick, httpd, jetty, libdb, libsndfile, mingw-LibRaw, mosquitto, php-horde-Horde-Image, qt5-qtwebengine, xen, and yara), Oracle (httpd and kernel), Red Hat (flash-plugin, httpd, and kernel), Scientific Linux (httpd and kernel), and SUSE (spice). Securing data in transit is critical to the integrity of transactions on the Internet. Whether you log in to an account with your user name and password or give your credit card details to a retailer, you want your data protected as it travels across the Internet from place to place. One of the protocols in widespread use to protect data in transit is Transport Layer Security (TLS). Every time you access a URL that begins with “https” instead of just “http”, you are using a TLS-secured connection to a website. To demonstrate that your application has a strong TLS configuration, you can use services like the one provided by SSL Labs. There are also open source, command-line-oriented TLS testing programs such as testssl.sh (which I do not cover in this post) and sslscan (which I cover later in this post). The goal of testing your TLS configuration is to provide evidence that weak cryptographic ciphers are disabled in your TLS configuration and only strong ciphers are enabled. In this blog post, I show you how to control the TLS security options for your secure load balancer in AWS CloudFormation, pass the TLS certificate and host name for your secure AWS Elastic Beanstalk application to the CloudFormation script as parameters, and then confirm that only strong TLS ciphers are enabled on the launched application by testing it with SSLLabs. In some situations, it’s not enough to simply turn on TLS with its default settings and call it done. Over the years, a number of vulnerabilities have been discovered in the TLS protocol itself with codenames such as CRIME, POODLE, and Logjam. Though some vulnerabilities were in specific implementations, such as OpenSSL, others were vulnerabilities in the Secure Sockets Layer (SSL) or TLS protocol itself. The only way to avoid some TLS vulnerabilities is to ensure your web server uses only the latest version of TLS. Some organizations want to limit their TLS configuration to the highest possible security levels to satisfy company policies, regulatory requirements, or other information security requirements. In practice, such limitations usually mean using TLS version 1.2 (at the time of this writing, TLS 1.3 is in the works) and using only strong cryptographic ciphers. Note that forcing a high-security TLS connection in this manner limits which types of devices can connect to your web server. I address this point at the end of this post. The default TLS configuration in most web servers is compatible with the broadest set of clients (such as web browsers, mobile devices, and point-of-sale systems). As a result, older ciphers and protocol versions are usually enabled. This is true for the Elastic Load Balancing load balancer that is created in your Elastic Beanstalk application as well as for web server software such as Apache and nginx. For example, TLS versions 1.0 and 1.1 are enabled in addition to 1.2. The RC4 cipher is permitted, even though that cipher is too weak for the most demanding security requirements. If your application needs to prioritize the security of connections over compatibility with legacy devices, you must adjust the TLS encryption settings on your application. The solution in this post helps you make those adjustments. You must have a hosted zone in Amazon Route 53 where the name of the secure application will be created. I use example.com as my domain name in this post and assume that I host example.com publicly in Route 53. To learn more about creating and hosting a zone publicly in Route 53, see Working with Public Hosted Zones. You must choose a name to be associated with the secure app. In this case, I use secure.example.com as the DNS name to be associated with the secure app. This means that I’m trying to create an Elastic Beanstalk application whose URL will be https://secure.example.com/. You must have a TLS certificate hosted in AWS Certificate Manager (ACM). This certificate must be issued with the name you decided in Step 2. If you are new to ACM, see Getting Started. If you are already familiar with ACM, request a certificate and get its Amazon Resource Name (ARN).Look up the ARN for the certificate that you created by opening the ACM console. The ARN looks something like: arn:aws:acm:eu-west-1:111122223333:certificate/12345678-abcd-1234-abcd-1234abcd1234. You can use two approaches to control the TLS ciphers used by your load balancer: one is to use a predefined protocol policy from AWS, and the other is to write your own protocol policy that lists exactly which ciphers should be enabled. There are many ciphers and options that can be set, so the appropriate AWS predefined policy is often the simplest policy to use. If you have to comply with an information security policy that requires enabling or disabling specific ciphers, you will probably find it easiest to write a custom policy listing only the ciphers that are acceptable to your requirements. AWS released two predefined TLS policies on March 10, 2017: ELBSecurityPolicy-TLS-1-1-2017-01 and ELBSecurityPolicy-TLS-1-2-2017-01. These policies restrict TLS negotiations to TLS 1.1 and 1.2, respectively. You can find a good comparison of the ciphers that these policies enable and disable in the HTTPS listener documentation for Elastic Load Balancing. If your requirements are simply “support TLS 1.1 and later” or “support TLS 1.2 and later,” those AWS predefined cipher policies are the best place to start. If you need to control your cipher choice with a custom policy, I show you in this post which lines of the CloudFormation template to change. Many AWS customers rely on CloudFormation to launch their AWS resources, including their Elastic Beanstalk applications. To change the ciphers and protocol versions supported on your load balancer, you must put those options in a CloudFormation template. You can store your site’s TLS certificate in ACM and create the corresponding DNS alias record in the correct zone in Route 53. To start, download the CloudFormation template that I have provided for this blog post, or deploy the template directly in your environment. This template creates a CloudFormation stack in your default VPC that contains two resources: an Elastic Beanstalk application that deploys a standard sample PHP application, and a Route 53 record in a hosted zone. This CloudFormation template selects the AWS predefined policy called ELBSecurityPolicy-TLS-1-2-2017-01 and deploys it. In the CloudFormation console, choose Create Stack. You can either upload the template through your browser, or load the template into an Amazon S3 bucket and type the S3 URL in the Specify an Amazon S3 template URL box. After you click Next, you will see that there are three parameters defined: CertificateARN, ELBHostName, and HostedDomainName. Set the CertificateARN parameter to the ARN of the certificate you want to use for your application. Set the ELBHostName parameter to the hostname part of the URL. For example, if your URL were https://secure.example.com/, the HostedDomainName parameter would be example.com and the ELBHostName parameter would be secure. For the sample application, choose Next and then choose Create, and the CloudFormation stack will be created. For your own applications, you might need to set other options such as a database, VPC options, or Amazon SNS notifications. For more details, see AWS Elastic Beanstalk Environment Configuration. To deploy an application other than our sample PHP application, create your own application source bundle. In addition to launching the sample application from the console, you can specify the parameters from the command line. Because the template uses parameters, you can launch multiple copies of the application, specifying different parameters for each copy. To launch the application from a Linux command line with the AWS CLI, insert the correct values for your application, as shown in the following command. When that command exits, it prints the StackID of the stack it created. Save that StackID for later so that you can fetch the stack’s outputs from the command line. If you want to specify your own cipher choices, you can use the same CloudFormation template and change two lines. Let’s assume your information security policies require you to disable any ciphers that use Cipher Block Chaining (CBC) mode encryption. These ciphers are enabled in the ELBSecurityPolicy-TLS-1-2-2017-01 managed policy, so to satisfy that security requirement, you have to modify the CloudFormation template to use your own protocol policy. In the template, locate the three lines that define the TLSHighPolicy. Change the OptionName and Value for the TLSHighPolicy. Instead of referring to the AWS predefined policy by name, explicitly list all the ciphers you want to use. Change those three lines so they look like the following. Negotiate connections using only TLS 1.2. Ignore any attempts by the client (for example, the web browser or mobile device) to negotiate a weaker cipher. Accept four specific, strong combinations of cipher and key exchange—and nothing else. The protocol policy enables only TLS 1.2, strong ciphers that do not use CBC mode encryption, and strong key exchange. You can either enter the secure URL in a web browser (for example, https://secure.example.com/), or click the link in the Outputs to open your sample application and see the demo page. Note that you must use HTTPS—this template has disabled HTTP on port 80 and only listens with HTTPS on port 443. If you launched your application through the command line, you can view the CloudFormation outputs using the command line as well. You need to know the StackId of the stack you launched and insert it in the following stack-name parameter. The easiest way to confirm that the load balancer is using the secure ciphers that we chose is to enter the URL of the load balancer in the form on SSL Labs’ SSL Server Test page. If you do not want the name of your load balancer to be shared publicly on SSLLabs.com, select the Do not show the results on the boards check box. After a minute or two of testing, SSLLabs gives you a detailed report of every cipher it tried and how your load balancer responded. 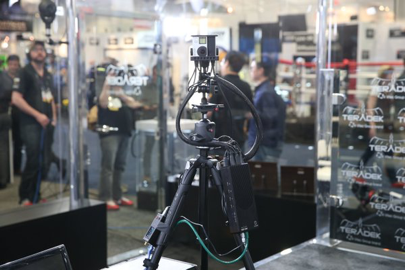 This test simulates many devices that might connect to your website, including mobile phones, desktop web browsers, and software libraries such as Java and OpenSSL. The report tells you whether these clients would be able to connect to your application successfully. You might not be able to reach your Elastic Beanstalk application from the Internet because it might be in a private subnet that is only accessible internally. If you want to test the security of your load balancer’s configuration privately, you can use one of the open source command-line tools such as sslscan. You can install and run the sslscan command on any Amazon EC2 Linux instance or even from your own laptop. Be sure that the Elastic Beanstalk application you want to test will accept an HTTPS connection from your Amazon Linux EC2 instance or from your laptop. Enable the Extra Packages for Enterprise Linux (EPEL) repository. Run sudo yum install sslscan. After the command runs successfully, run sslscan secure.example.com to scan your application for supported ciphers. The results are similar to Qualys’ results at SSLLabs.com, but the sslscan tool does not summarize and evaluate the results to assign a grade. It just reports whether your application accepted a connection using the cipher that it tried. You must decide for yourself whether that set of accepted connections represents the right level of security for your application. If you have been asked to build a secure load balancer that meets specific security requirements, the output from sslscan helps to show how the security of your application is configured. The following sample output shows a small subset of the total output of the sslscan tool. An Accepted connection is one that was successful: the load balancer and the client were both able to use the indicated cipher. Failed and Rejected connections are connections whose load balancer would not accept the level of security that the client was requesting. As a result, the load balancer closed the connection instead of communicating insecurely. The difference between Failed and Rejected is based one whether the TLS connection was closed cleanly. The main difference between our custom policy and the AWS predefined policy is whether or not CBC ciphers are accepted. The test results with both policies are identical except for the results shown in the following table. The only change in the policy, and therefore the only change in the results, is that the cipher suites using CBC ciphers have been disabled. The custom policy described in the previous section prevents legacy devices and older versions of software and web browsers from connecting. The output at SSLLabs provides a list of devices and applications (such as Internet Explorer 10 on Windows 7) that cannot connect to an application that uses the TLS policy. By design, the load balancer will refuse to connect to a device that is unable to negotiate a connection at the required levels of security. Users who use legacy software and devices will see different errors, depending on which device or software they use (for example, Internet Explorer on Windows, Chrome on Android, or a legacy mobile application). The error messages will be some variation of “connection failed” because the Elastic Load Balancer closes the connection without responding to the user’s request. This behavior can be problematic for websites that must be accessible to older desktop operating systems or older mobile devices. If you need to support legacy devices, adjust the TLSHighPolicy in the CloudFormation template. For example, if you need to support web browsers on Windows 7 systems (and you cannot enable TLS 1.2 support on those systems), you can change the policy to enable TLS 1.1. To do this, change the value of SSLReferencePolicy to ELBSecurityPolicy-TLS-1-1-2017-01. Enabling legacy protocol versions such as TLS version 1.1 will allow older devices to connect, but then the application may not be compliant with the information security policies or business requirements that require strong ciphers. Using Elastic Beanstalk, Route 53, and ACM can help you launch secure applications that are designed to not only protect data but also meet regulatory compliance requirements and your information security policies. The TLS policy, either custom or predefined, allows you to control exactly which cryptographic ciphers are enabled on your Elastic Load Balancer. 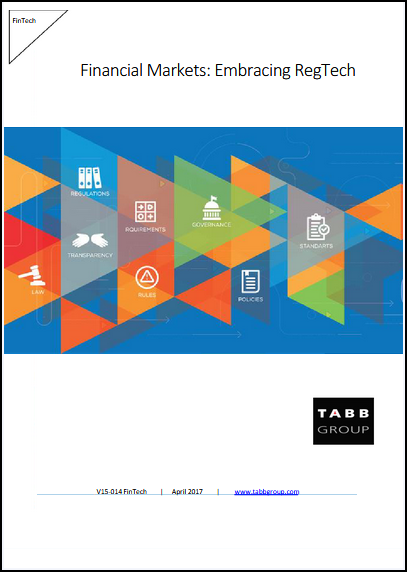 The TLS test results provide you with clear evidence you can use to demonstrate compliance with security policies or requirements. The parameters in this post’s CloudFormation template also make it adaptable and reusable for multiple applications. You can use the same template to launch different applications on different secure URLs by simply changing the parameters that you pass to the template. If you have comments about this post, submit them in the “Comments” section below. If you have questions about or issues implementing this solution, start a new thread on the CloudFormation forum.